Welcome to tanks.brightsoo.com! This is a site dedicated to Wii Tanks (what is it? ), mostly in the form of strategy guides and video captures (for those who haven’t reached the higher missions in the game but want to see them). To see more what this site is all about and why I made it, see About This Site. You can also see List of Missions for screenshots of each mission’s block layout (and why not all 100 missions are listed above). In parallel, you may also want to check out List of Enemy Tanks, which lists all enemy tank types in this game, brief descriptions of each tank, the missions they first appear in, and of course links to tank-specific strategy guides. Check out the miscellaneous section for interesting trivia of the game. This mission always begins with the teal tank directly opposite you firing at you. So I typically move up immediately. I would stop momentarily just before crossing the upper barricade, and fan out all five rounds of shells from the upper barricade to the lower one, then move up above the upper baricade for protection. Those five rounds will typically take out at least one of the tanks, three if you’re lucky. For any remaining teal tanks, just apply the usual tactic for teal tanks. In the process, watch out for rebounding shells from the innocent-looking grey tanks. Due the wide gap between the barricades and the surrounding side walls, shells can rebound at a steep angle and reach you deep behind the barricades. This happened at right about the middle of the above video. Luckily, I was well on my way to the other end of the barricade. Mission 13 is not a difficult level – the green tanks that made their debut in Mission 12 are taking a day off – but it’s no picnic either, due to the fact that you have 3 yellow tanks (for which I expressed my distaste here) and 3 teal ones (which become a real threat only because you’re distracted by the yellow ones). Strategy: Stay on the left side, be constantly moving up and down (where possible) to evade missiles from the teal tanks, and take out the yellow tanks first. Most likely, the teal tanks will stay on the right side. 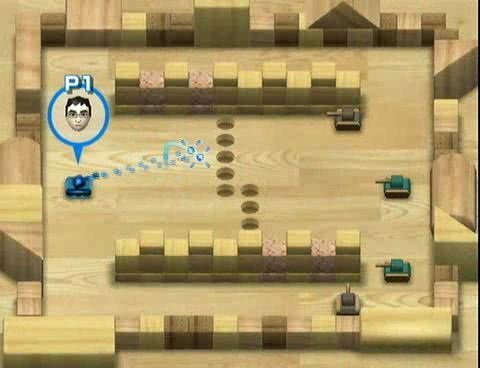 Tactic: Start out like the video above by fanning and rebounding off the lower barricades to attempt taking out the middle yellow tank, and immediately run so as to evade the green tanks’ missiles. However, unlike the video above, don’t find yourself tucked into the lower left corner having to watch out for rounds travelling along the bottom of the screen, partially obscured by the bottom wall – that was unwise of me but I got lucky. Then, just try to track down all the yellow tanks, and when you’re left with just the teal ones, simply use what you’ve learned about them to take them out. Though this web site still doesn’t have a mobile version, the videos are now viewable on iPhones and iPads. Previously, the video player on this site used Flash, which was incompatible with iOS. The player is now replaced with HTML5 video tag.